Prima Marketing with Chameleon Pens! 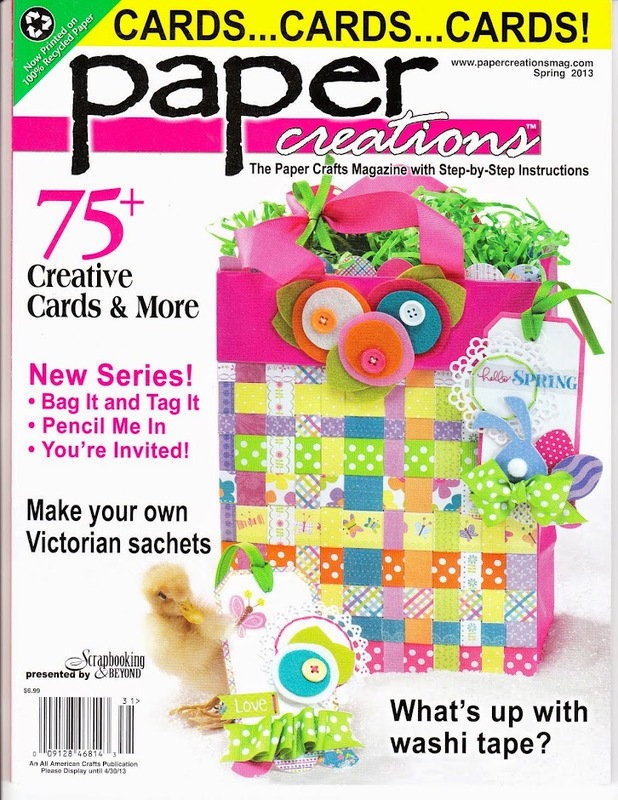 How fun is it to get to team up with another manufacturer of fun and fabulous products? A few of us were asked to team up with Chameleon Pens and come up with some ideas! The Prima Girls were asked to use Julie Nutting Products, Garden Fable Collection and of course the Chameleon Pens. 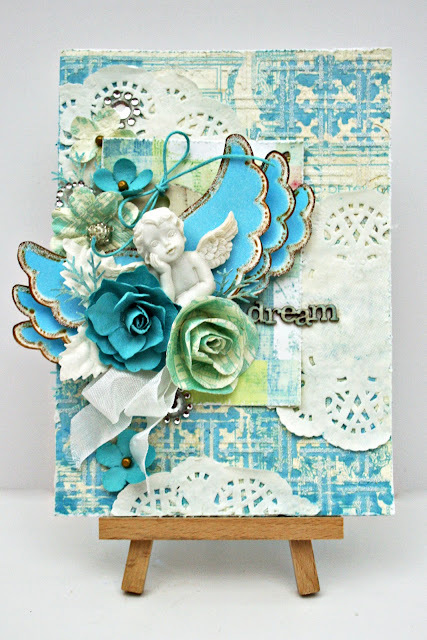 I came up with this card using Julie Nuttings Beautiful wings! I colored the wings with the pens. I held the pen in the mixing chamber for about 15 seconds, then started on the outside and worked my way to the center to color these. This allowed me to have the lightest of color around the outside and the more vibrant color on the inside of the wings. I added some glitter to the edges of the Julie Nutting Wings and layered them. 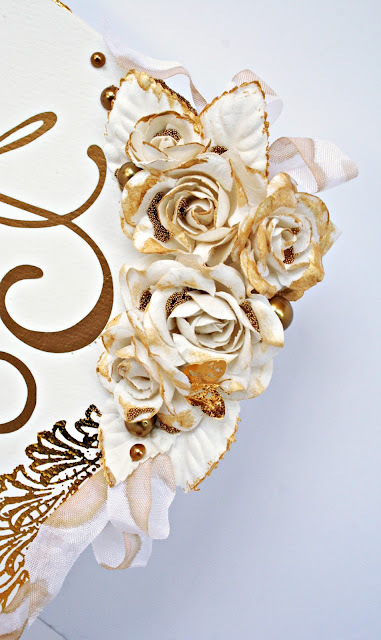 There is a bit of foam tucked in behind the layers to give these dimension. I love how smooth these Chameleon Pens colored the wings. They are beautiful without needing to blend or add any other product. Just move slowly and you will get a beautifully blended look, even on larger surfaces. 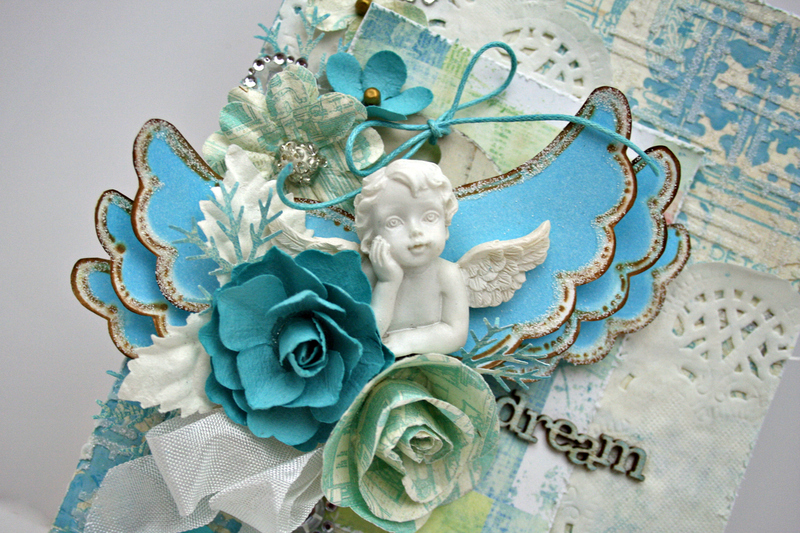 Of course, I had to add a sweet angel and lots of Prima Garden Fable Paper and Flowers! 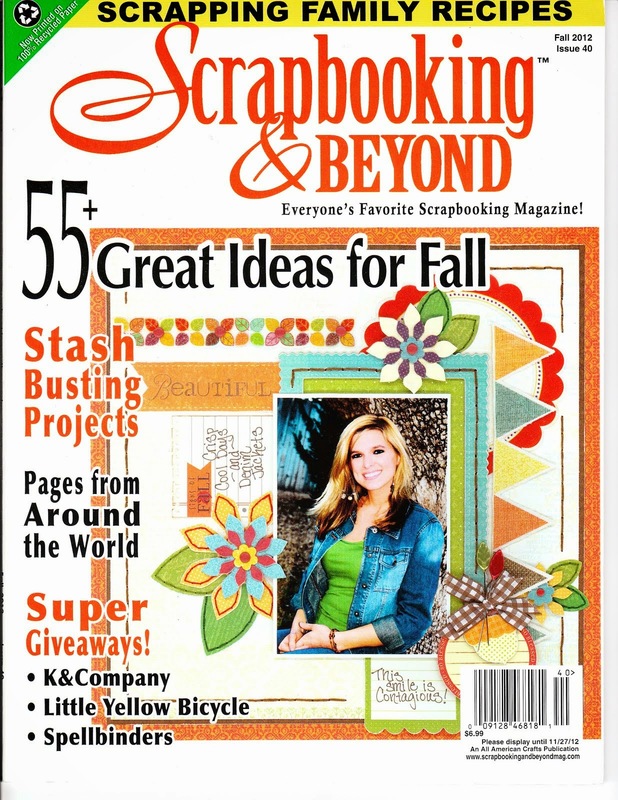 Be sure to take a look at the Prima Blog and the Chameleon Pens Blog for many wonderful ideas!! Both teams did a fabulous job with Prima and Chameleon Pens! 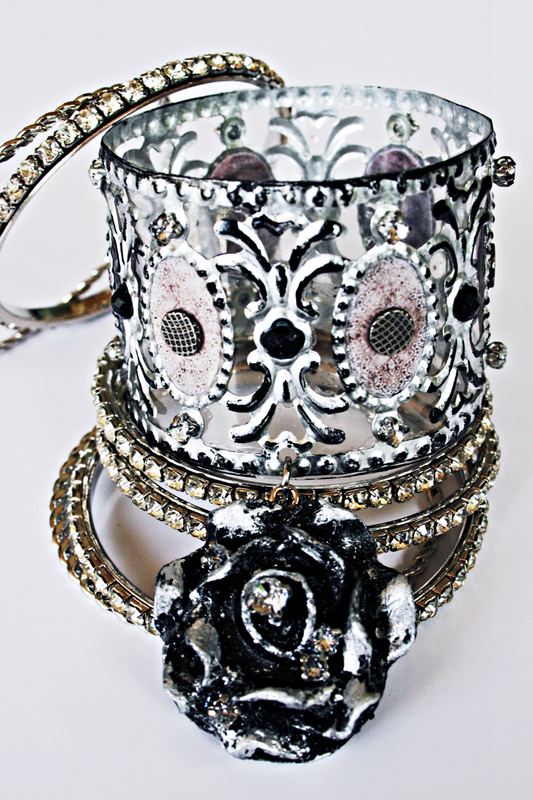 The Prima Relics and Artifacts pieces are so fun to play with! I can't seem to get enough of them lately! Recently, while shopping in my local craft store, I came across some metal ribbon. I had no idea what I was going to use it for, but I couldn't pass it up. But after doing a class with some of the Flora Relics and Artifacts, I had some left over and wanted to use them. I thought of this ribbon and how pretty it was and decided to try to turn it into a bracelet! Tip: The metal ribbon can have some sharp edges. Be sure to seal them or back the project. I used transparency to back the whole project and it worked perfectly. Of course, I had to add some other Prima products to it! I used some metal and if you know me, my foils had to make an appearance, too! 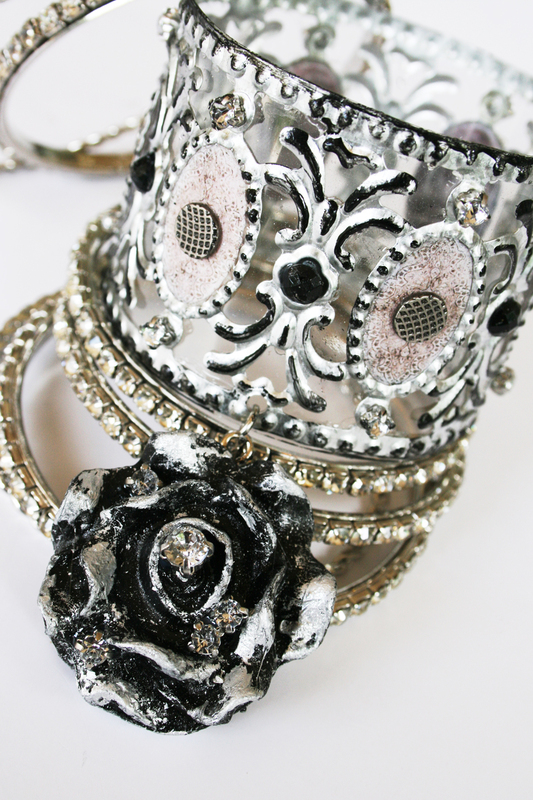 They are perfect for adding more shine to EVERYTHING! Tip: For wearables, the Prima Soft Gloss Gel works perfectly to seal the foils. Now, just add a few bangles and you are ready to go! This is a fun simple project that you can do for some one of a kind pieces to add some Prima to your wardrobe! As always, I invite you to the Prima Blog to see what the design team is up to! You are sure to be inspired! I will be showing you everything you need to know about how to use the back of tiles to create pretty home decor pieces to place around your home, or use as little gifts! This is an inexpensive way to use pieces that you have in your garage or, in my case, in the attic to come up with a unique piece! No problem if you don't have tiles in your home, this size tile can be picked up at your local hardware store for practically nothing! Hope to see you at Live with Prima! 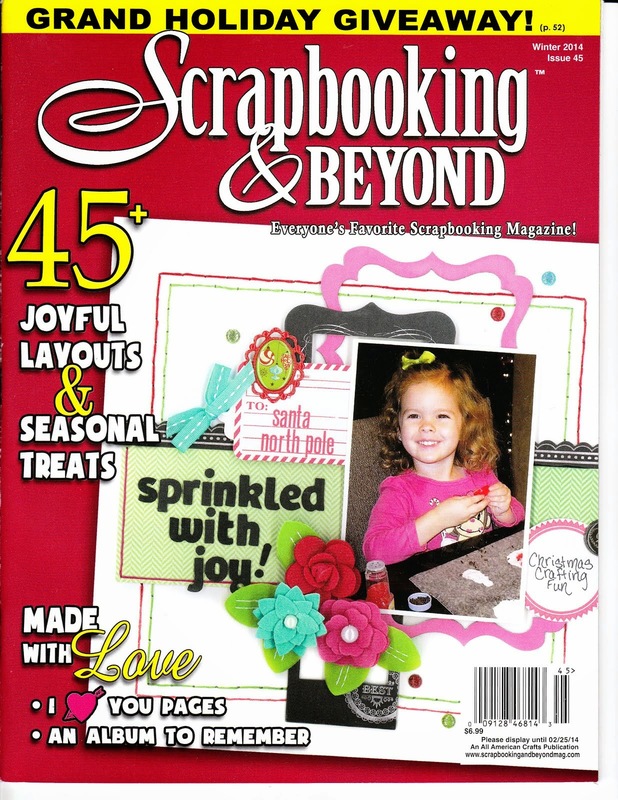 Have you seen the Prima Creating in Faith products? They are simply wonderful! Sometimes, you find products that say exactly what you need to hear! These are some of those! I used the large gold rub-ons for todays project. 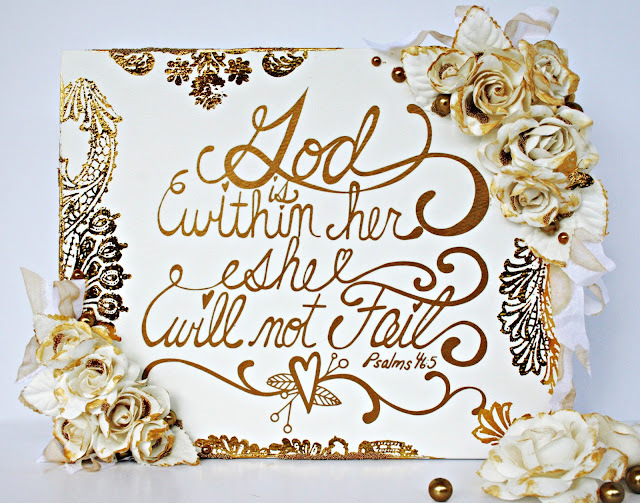 I loved that I could use this verse for a beautiful home decor piece, as well as, a reminder. I started with the 8x10 Watercolor panel from Prima. These are so terrific! I love that they can hang but also are wide enough to stand on a surface. That opens up a world of posibilities for where this can be placed in my home. Even though this would be beautiful colored and the watercolor surface is perfect for that, today's project stayed white and I only added gold accents. I have a lot of gold in my house and by not adding color, this piece can be moved from room to room when I want to re-arrange things for a fresh look! I love having some basic pieces for that! Prima has so many choices for gold accents, so I added the Prima Rub-on adhesives, Rub-on Foils, Gold tipped flowers, Memory Hardware Pearls and even Color Bloom Gold Foil! 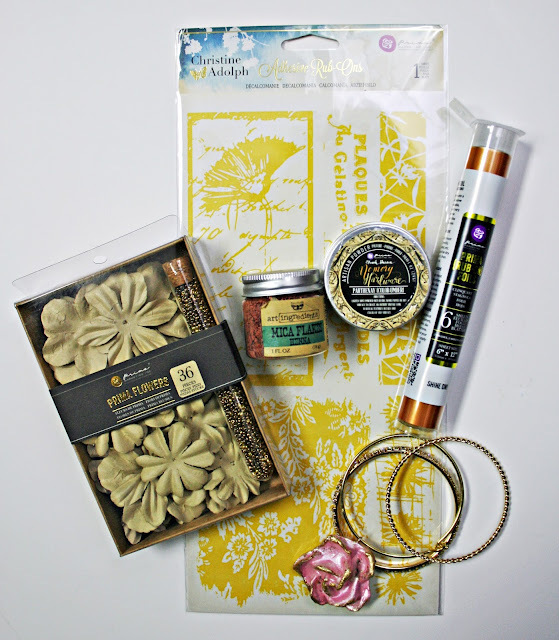 All these products coordinated perfectly and made this come together quickly and easily! 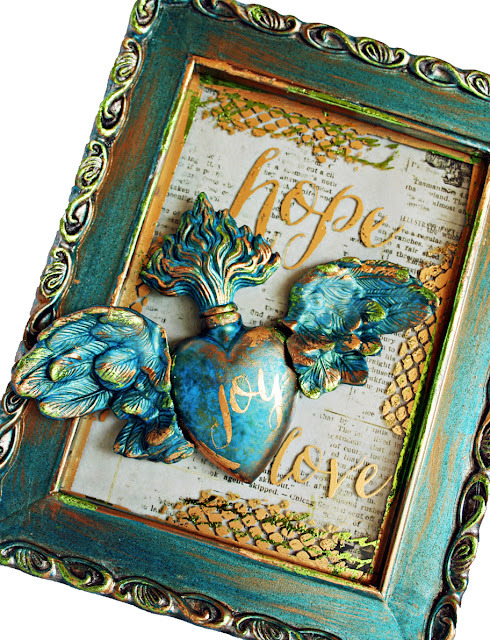 Today on the Prima blog, there are wonderful examples of Creating in Faith! Be sure to check them out! 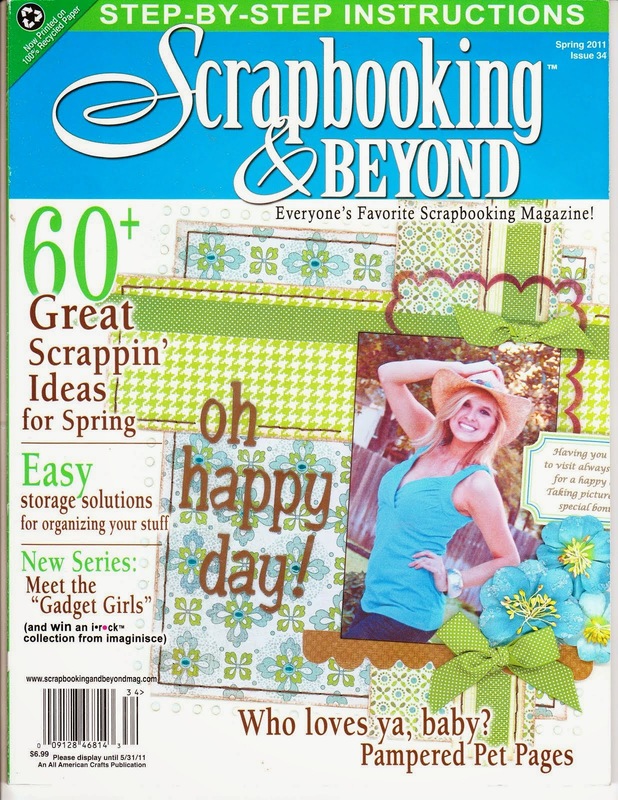 It's National Scrapbook Day! Updated with Prizes! 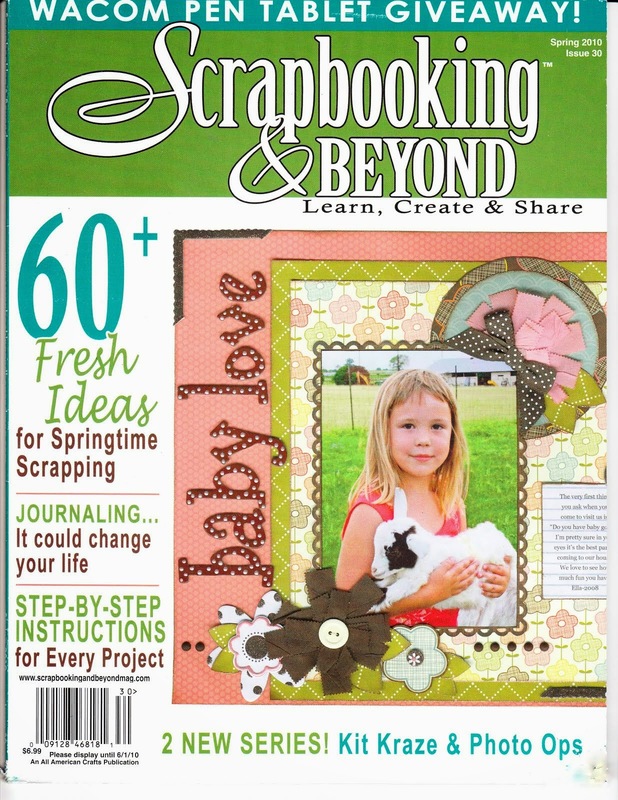 (Inter)National Scrapbook Day is here! At Prima we are celebrating all day long!! It's going to be a great day with fun for everyone!!! There are prizes galore and so much more!! Be sure to go to Prima's Blog for all the details and the schedule! The Live with Prima team is going to be on Ustream every two hours. If you missed any of them, they are always recorded so you can go back and watch. Of course, we love to see you live so you can chat with us! 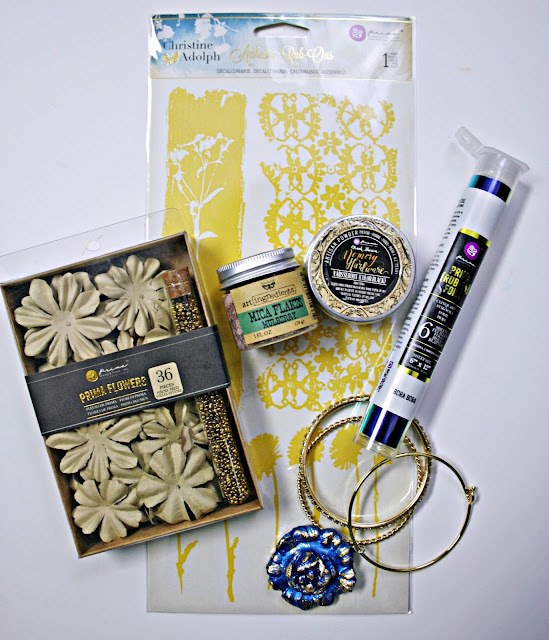 My class is all about using your Prima Supplies for last minute gifts, decorations, etc. 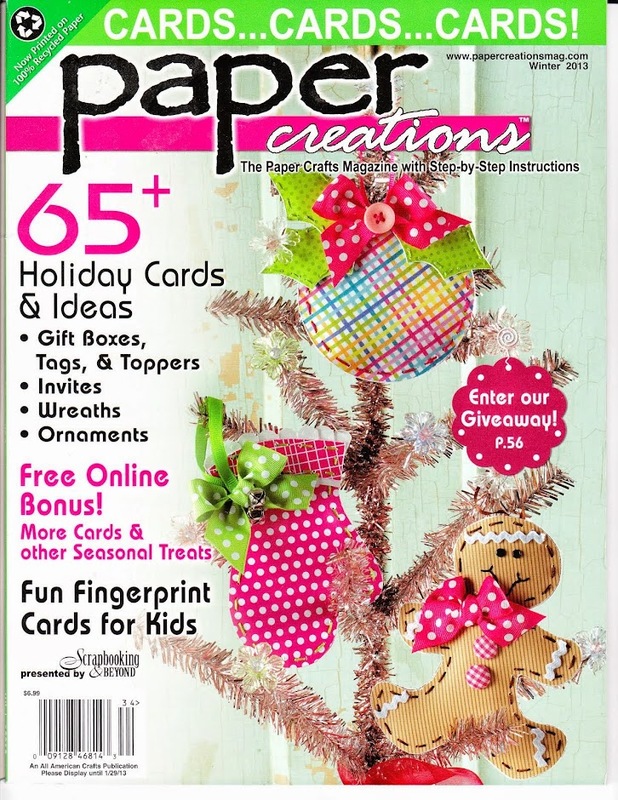 These projects are quick, easy and can be used for a variety of last minute needs. Need a quick gift? 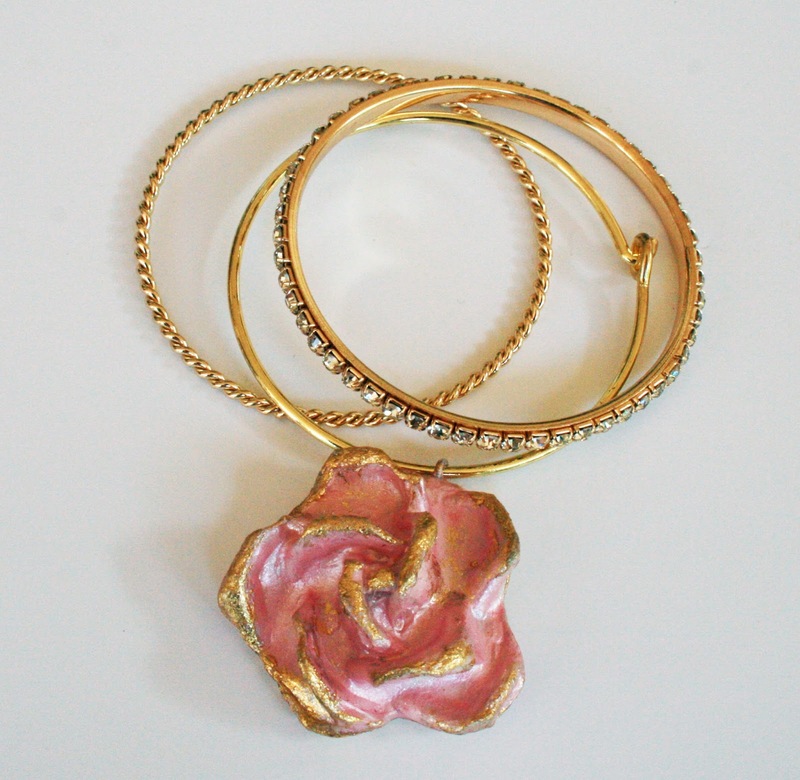 Want something special to wear? Today's show will show you how to go to your stash and in just a bit of time, make something special. 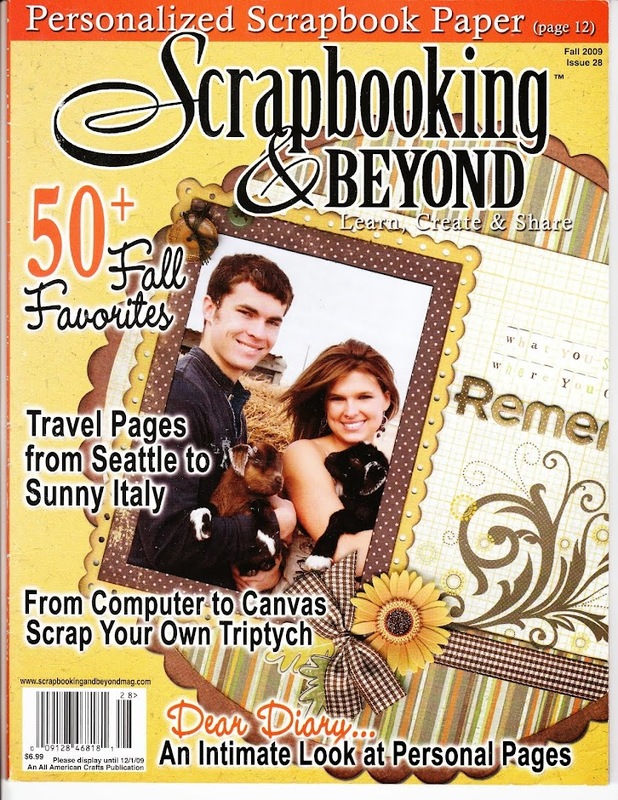 Since it is (Inter)national Scrapbook Day and Prima is giving away prizes, I wanted to, too! I'm so thankful to all of you who support us! I'm giving away some bracelets that I have made! AND... 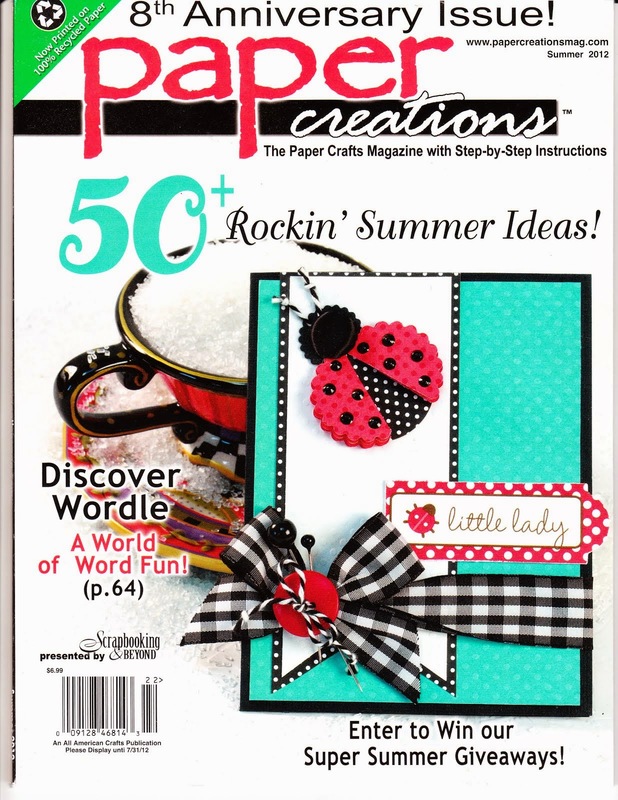 I'm adding some fun Prima Stuff to the mix!! Here is a picture of the first prize! AND... As promised, here is the one that I made on my show along with MORE Prima goodness! So, if you would like to win, please leave me a comment here! I would love it if you followed me, but it only takes a comment to have a chance to win! I will choose two winners randomly on Monday and announce them here on my blog! Hope to see you live today! My class is at 3pm Eastern Time! Don't forget to check out the Prima Blog for the complete schedule! Watch all Prima's social media all day for chances to play along and WIN! Hi everyone! 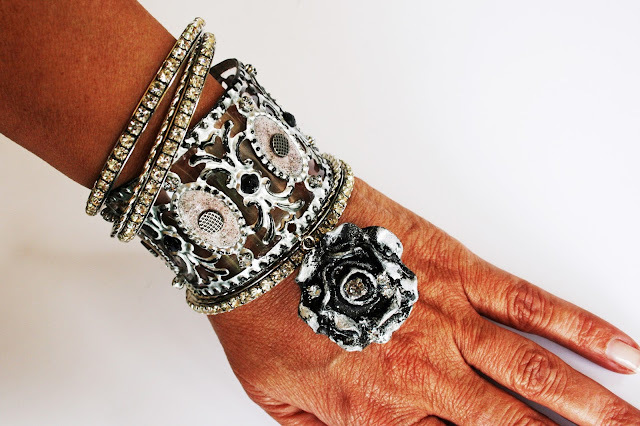 I am posting the FREE class link today on my blog! If you missed it, you can watch it right here on my blog! That makes it easy, right? This is the project that I created. It started as a simple 5x7 frame and with a few AMAZING Prima Products turned into THIS! I truly love the combination of Relics and Artifacts, Foils and Metallique Paints!! They work beautifully together! 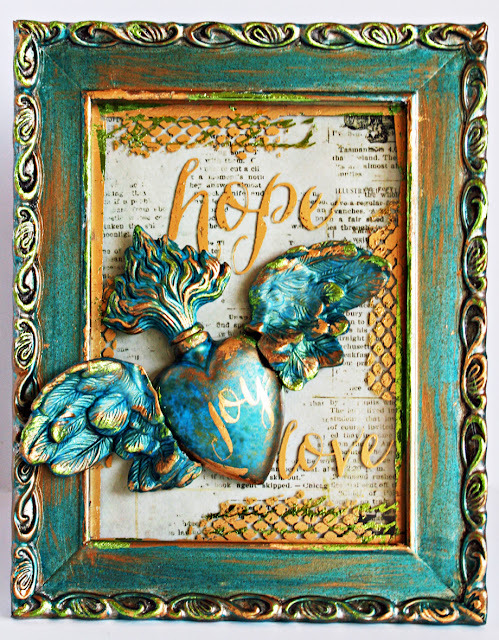 This project is fun and surprisingly easy to create using Prima's products! Never one to miss a show? Be sure to join the Live With Prima Group on Facebook! Everything you need to know about upcoming shows is post there. 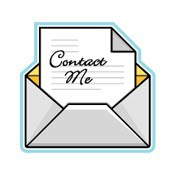 You will also find complete supply lists from every artist for every show!! 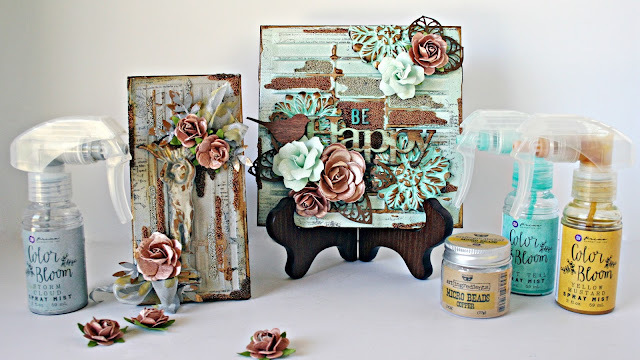 I had to smile about today's post for foils at Prima. Foiling Fun! For me, that means foiling on ANYTHING and EVERYTHING! I just can't get enough of the new Adhesive Rub-Ons combined with the new Foils! These little bottles filled with Metallique Paints provided a beautiful background for the Adhesive Rub-ons. 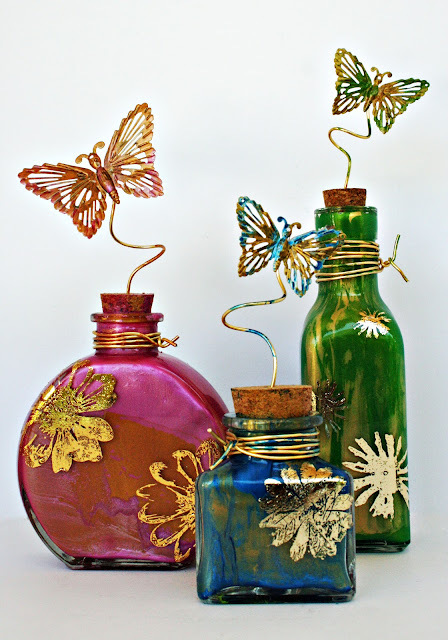 I used flower rub-ons for each of the bottles to give my Mechanicals butterflies a pretty garden to flutter through. 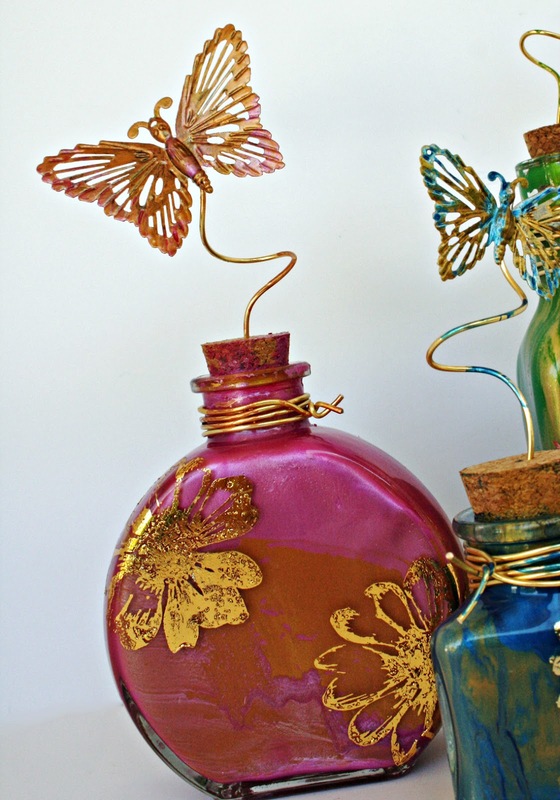 In the close-up, you can see the colors of the bottles that provided a beautiful background for my foiling. I used the new Metallique Paints dripped into the inside of the bottles for the coloring. I then used the same colors to paint the butterflies and wire. Tip: Be sure to save all the bits and pieces of rub-ons left over from your projects. 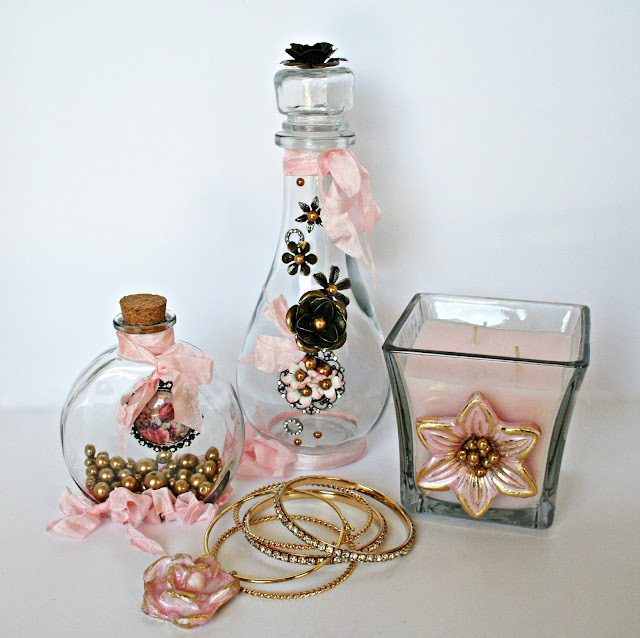 All of the flowers that I used were pieces that I had saved after completing larger projects. They are beautiful and perfect for these small bottles. 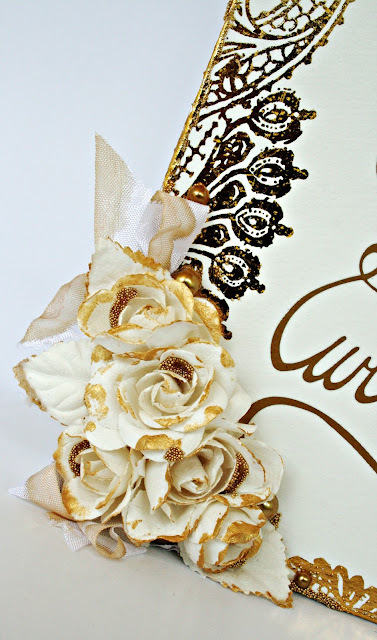 Be sure to take a peek at the Prima Blog to get many more ideas for Foiling on Anything!